Labour Programme (Women Organising Workers – WOW) aims to advance women workers’ right to Decent Work, Living Wage and participatory democracy by shaping and organising labour movements. Majority of women workers in the region are mostly in informal sector which is usually non-unionised, low-paid, low-valued with weak labour protection. Women workers in formal sectors such as garments, electronics and services also face similar challenges. 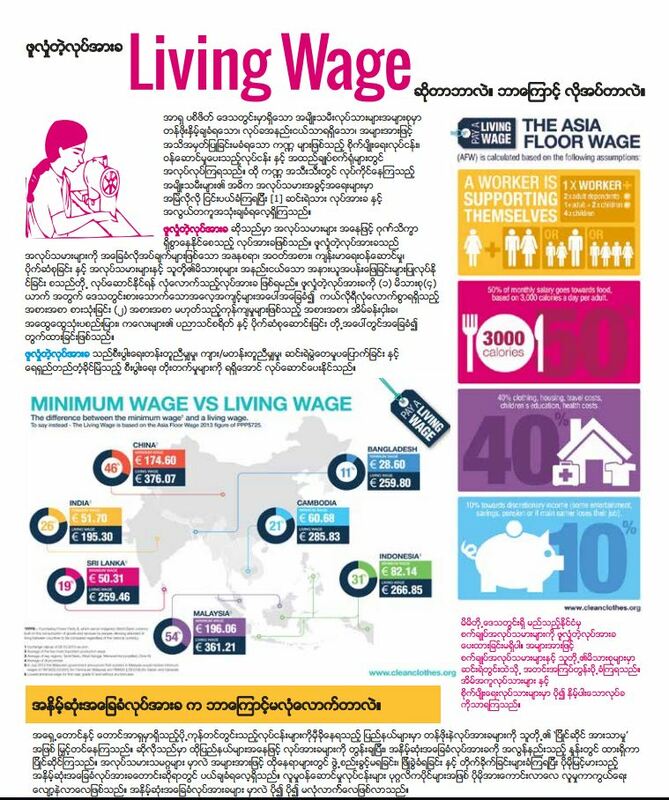 They are usually not provided with adequate rights at work or legal protection, leaving them vulnerable to exploitation – long hours, poverty wage, and horrid working condition. Asia Pacific is also known for the lowest trade union density and regressive policies towards labour unions. Even in places where organized unions exist, women are rarely in the leadership positions. Despite these systemic challenges, women workers are organising themselves to strengthen their collective power and overcome labour rights violations. Our Labour Programme focuses on increasing capacities, voices and leadership of women workers in trade unions by providing feminist organising training, Feminist Participatory Action Research (FPAR) and supporting networks to foster collective labour rights movements nationally, regionally and globally. Download our Living Wage briefer to learn how it can help achieve economic equality and gender equality. The briefer is also available in Burmese and Thai.